and, if offered, community channels and the services operated by provincial legislatures. 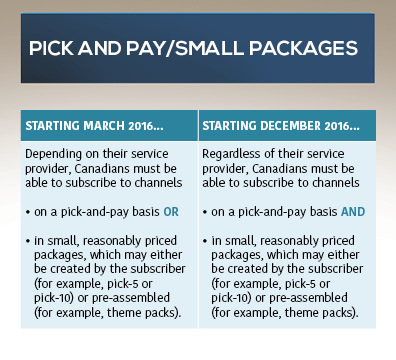 By December 2016, cable and satellite TV operators will be also required to offer pick-and-pay channel options as well. 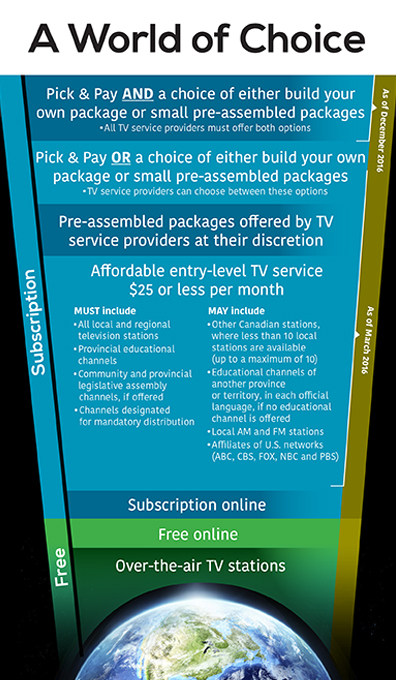 Blais said at a live press conference these changes are required as “we have to get ready” for a changing TV landscape. What do you think about today’s announcement?